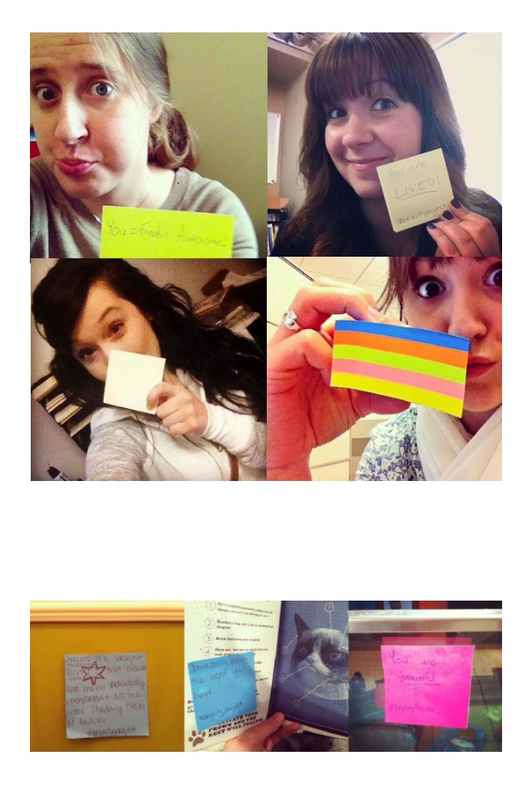 the funny story about how Jesus used a Post-It (and an event I coordinated) to remind me He loves me. – sam finds faith. the funny story about how Jesus used a Post-It (and an event I coordinated) to remind me He loves me. Okay, so those awkward moments when Jesus uses your own ministry to speak to you, right? So about a year ago, I was really, REALLY struggling with my own body image and guilt, and I had been so blessed to be surrounded by the wonderful ladies that had come alongside me to lead in the ministry I started in 2013. At the time, we tended to have a pretty consistent group text conversation going – thank you iPhone – and when stuff was going down or we needed to talk Something Beautuful, we were able to all be a part of the conversation. So when I was having a break down, I shot out a text to the three lovely ladies I served with and just explained briefly and requested prayer for my awful heart condition. And true to their wonderful and amazing loving hearts, these women rushed into battle for me with prayers and words of affirmation to lift me up to a place where I could really start hearing from the Lord on the topic, and it came to a point when I received a message from one of them that literally caused me to laugh out loud. Guys. I’m not kidding. I laughed out loud. 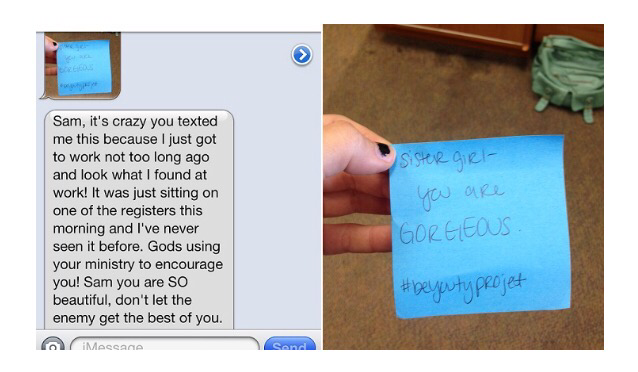 That is a Post-It from our #beyoutyproject event earlier last year that had been hidden in a book… and someone must have found it in the book they were purchasing and left it out the counter… on that very day because she later stated she had never seen it at work before. We had spent a good 30 minutes in that store hiding little sweet sayings in books for women MONTHS prior and here was one of those sayings, sent just for me in my moment of need. Jesus’ faithfulness to come through and His apparent sense of humor blew me away. And I do say “sense of humor” because not only is that from something my ministry did, but it’s MY HANDWRITING (talk about a humbling experience). There I was – hating on my body and who I was (and yes, the thought did occur to me that I’m the founder of Something Beautiful and, oh my gosh, I hate my body so much right now, and I was so ashamed in that moment) – and with my very own words, Jesus pulled me back into His truth and reality. Even if there wasn’t anything profound on that Post-It, it was His way of letting me know He heard my heart and my cries to Him and HE WAS LISTENING. And He wanted to deliver me from my suffering. Guys, I’m not here doing ministry because I think I’m beautiful and therefore so should you. I’m not doing this because I’m so sure of myself and who I am. I am straight up broken and I STRUGGLE with body image and who I am and how I look. I am in these trenches with you. But I saw a need – for us to be reminded that we are the beloved of Jesus and treasured and sacred and honored and BEAUTIFUL in His eyes and that He is the answer to all of our insecurities – and God compelled me to do something about it. And I’m just SO BLESSED to be here doing this with these ladies and for you ladies, because just the way I pray that our stories and the lessons we have learned help to lift you up to see His face and the way He loves, you guys lift me and He HIMSELF lifts me up to see that through this. This project – and all of you involved in any way shape or form – it all makes it such an honor to be here and to have my heart moved by the message of Jesus Christ through it is just amazing. The way He does this stuff is just nothing short of AWESOME. I am in AWE. 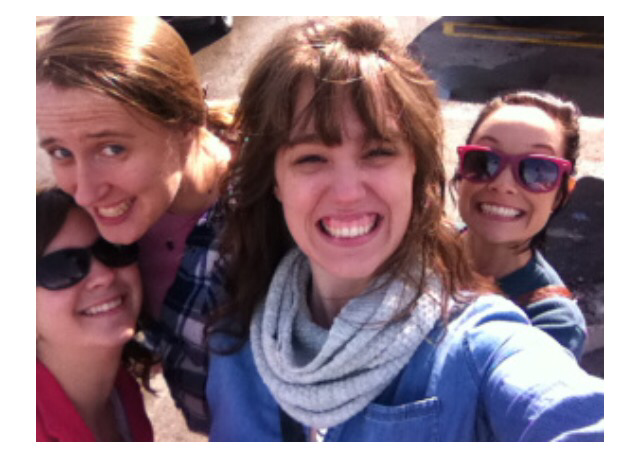 Previous postbig girl hair cuts, high heel shoes, and the things that define us.